Written contracts come in many forms and sizes, from something as simple as an agreement to purchase wheat up to the most complex international business agreements. One thing all legal contracts have in common is that courts can enforce contracts and issue judgments against a party if they fail to comply with contract conditions. Breaking a contract or a part of a contract is known as a breach of contract. Breaches happen for all sorts of reasons. One party to a contract may have a reversal of fortunes, like going bankrupt, and be unable to meet the ongoing contract conditions. A very common form of breach is when a renter breaks their lease by not paying rent or moving out early. 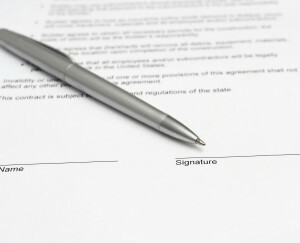 What to do when there is a breach of contract? 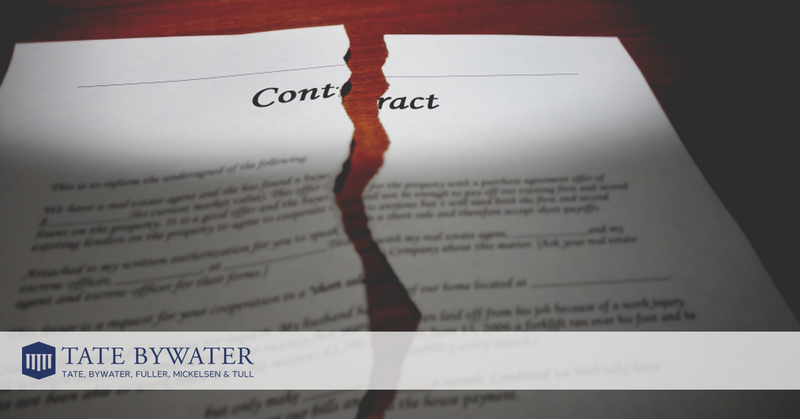 After a breach of contract, there are basically two options to resolve the broken contract: 1) A suit can be brought to court to have the contract enforced, or 2) the contracting parties can make a new agreement or contract that modifies the original contract. This second contract is known as an Accord and Satisfaction. The parties make a new agreement (Accord) the completion of which replaces or satisfies the original contract (Satisfaction). For example, let’s say I buy a car from my friend Paul and I agree to pay Paul $100 a month until the full value of the car is paid in ten years. After about three years I lose my job and can’t make the monthly payments anymore so I stop making payments. The moment I stop making payments I am in breach of contract. Under our original contract Paul can seek to enforce the original contract by way of a law suit to ask the Court to compel me to pay or repossess the car. But Paul is a good friend and is understanding of my situation (and wants to avoid the costs of litigation) so we make a new deal. Paul will let me keep the car for three months without payment but once I get a job I have to pay him $50 a month until I pay off the car, which will take 14 years, instead of the originally contemplated ten. If I make a new contract, does my breach of the original contract just go away? Not exactly. An Accord and Satisfaction does not erase the original contract, it basically suspends the original contract until the new agreement, the Accord, is fulfilled. After the Accord is completed, or fully satisfied, then both the Accord and the original contract are fulfilled (Satisfaction). However, the original contract does not go away until after the Accord is completed. Let’s go back to my contract with Paul. Under the newly negotiated Accord (new contract) I owe him $50 a month for the car. Paul and I have a falling out and I breach the contract by refusing to make any more payments on the car. Paul now has the option to enforce the original contract or the new contract since I have now breached both contracts and fulfilled neither. If I am in breach of both contracts do I have to pay for both? The example illustrated here is a very simple version meant to illustrate the principles of an Accord and Satisfaction. While the car loan in this example was only one contract, most auto loans come with three or four agreements something involving more than two parties, as well as more complex elements surrounding the loan, car title, and the purchaser’s payment obligations. Service contracts, housing loans, business agreements, and other contracts can quickly become complicated with larger explicit penalties for breach and other difficulties that prevent an Accord. For that reason an attorney may be essential to help resolve contract complexities. If you are currently in breach of a contract, or are in danger of breaching a contract, contact TATE BYWATER and let our experienced contract and business attorneys assist you. We will strive to help you prevent/reduce your liability or help you renegotiate or reform your contract liabilities. ** Matthew Kennedy is a recent graduate (J.D.) of the Benjamin Cardozo School of Law in New York. He recently joined the firm as a Law Clerk.